Here is the smackdown between Orwell and Huxley . . . between Nineteen Eighty-Four vs Brave New World. I think Huxley got the better of Orwell! 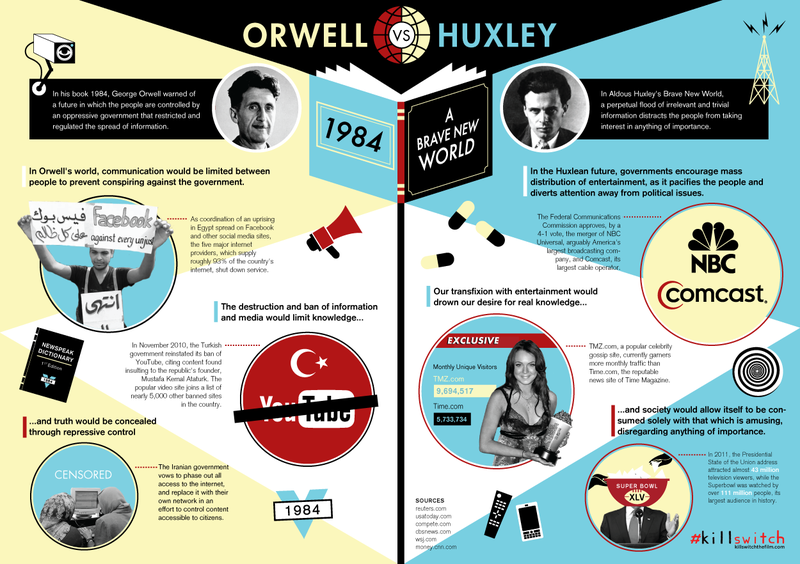 August 23, 2010 Who Was Right: Huxley or Orwell ?